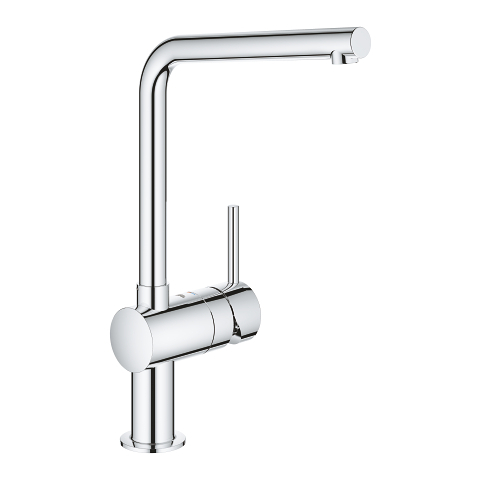 Top features, functionality and stunning looks meet in the GROHE Minta single-lever sink mixer. You don’t have to compromise on performance while making the smart style choice. 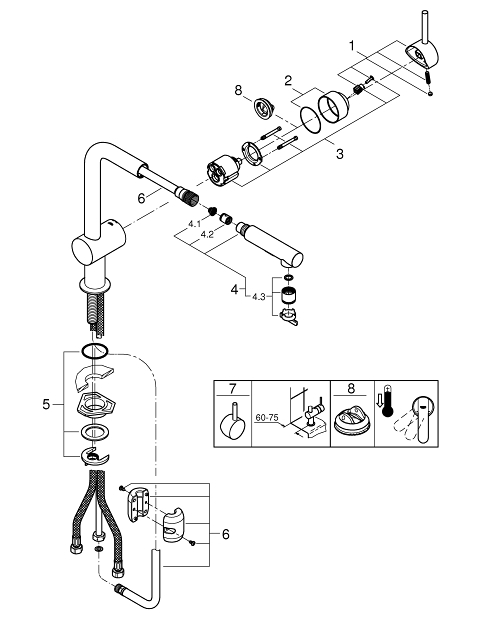 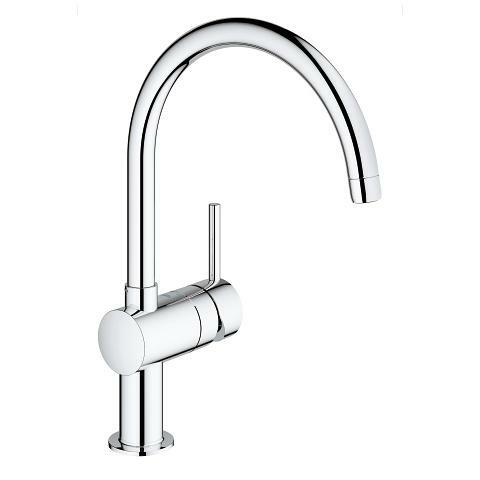 From the speedy fitting with our Easy Installation System onwards, this affordable kitchen tap takes the hassle out of kitchen chores. 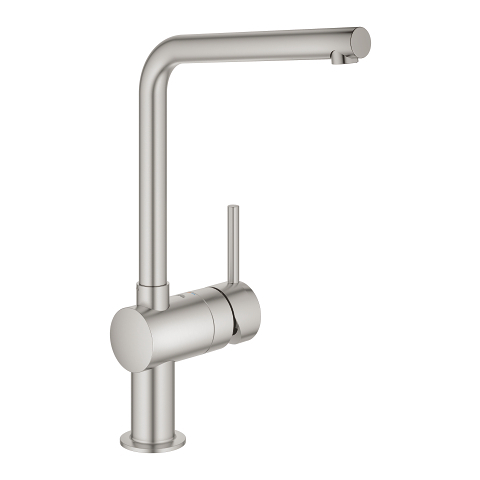 A busy kitchen requires total flexibility, so for extra convenience the Minta kitchen mixer features an L-shaped high spout that turns a full 360˚ plus a solid metal pull-out comfort shower head with two spray options is perfect for filling pots and pans or powerful sink cleaning – it’s extra reach is also great for any double sink set-up. 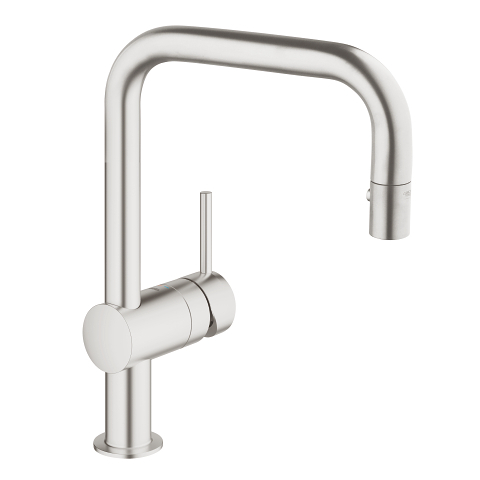 The GROHE EasyDock system also means that the shower head retracts easily and neatly when you’re done, and SpeedClean silicone nozzles can be cleared of limescale with a brush of your finger. 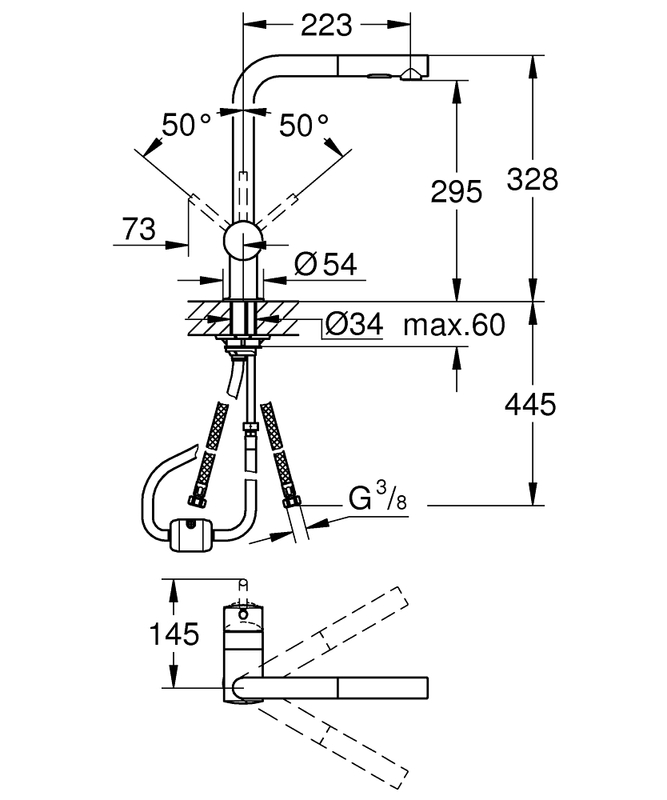 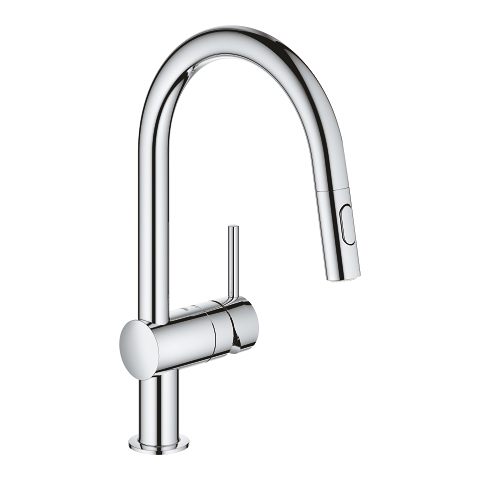 Inside GROHE SilkMove technology ensures life-long smooth and accurate water and temperature control. 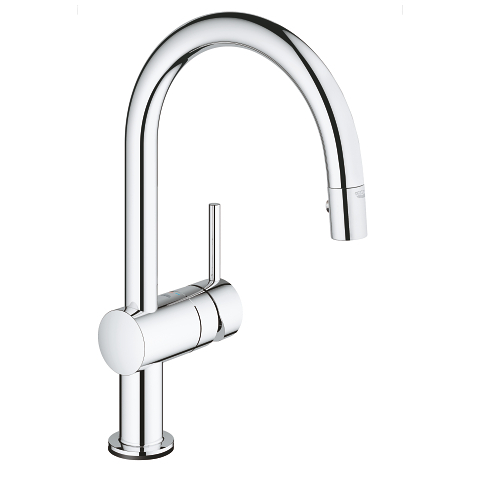 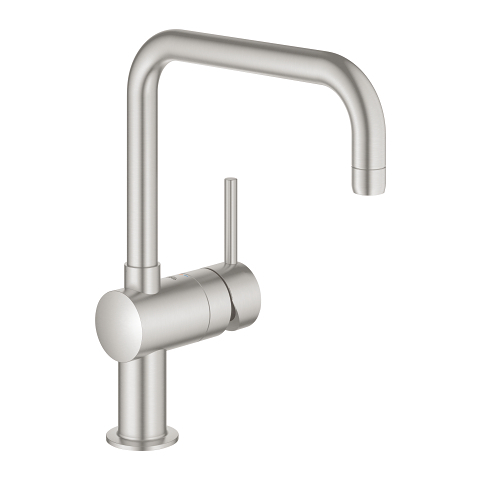 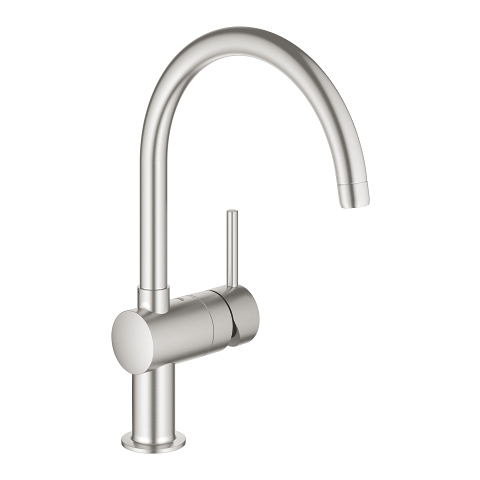 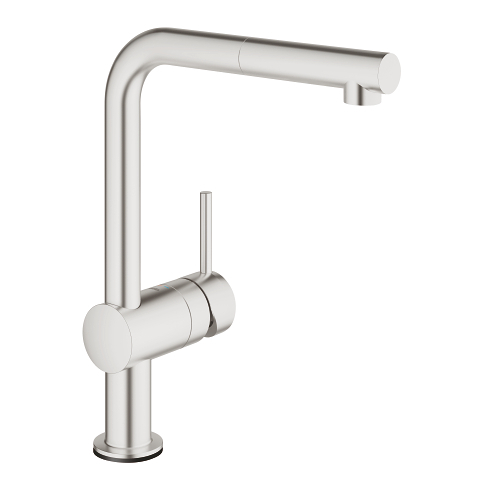 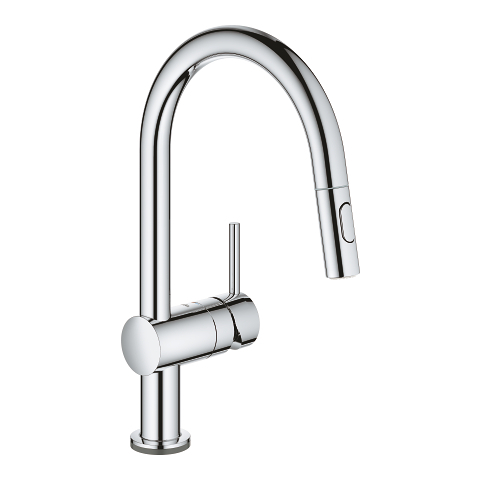 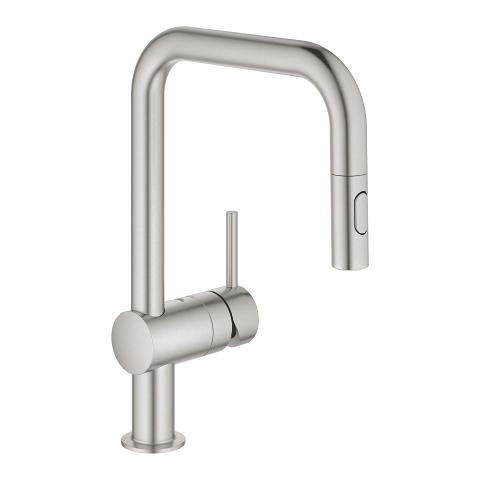 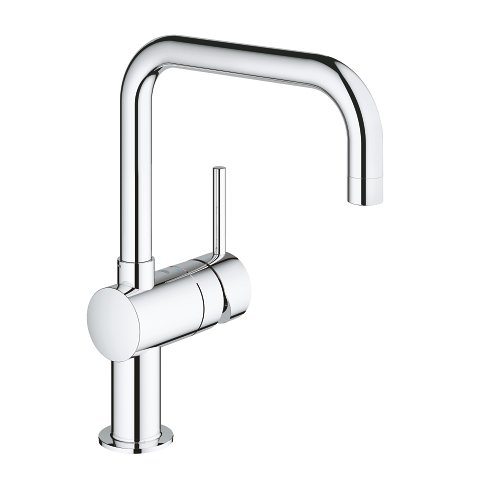 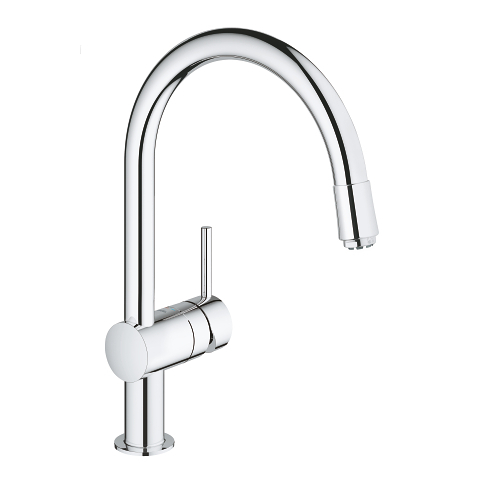 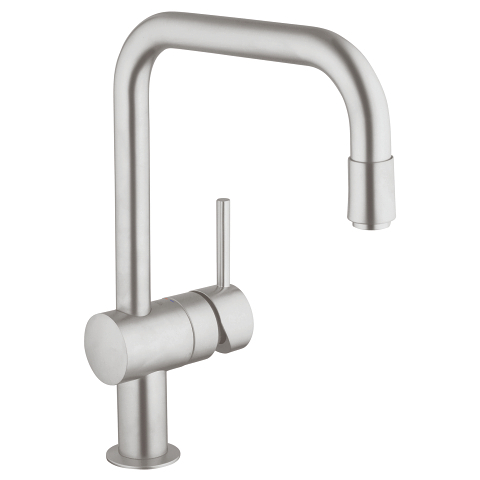 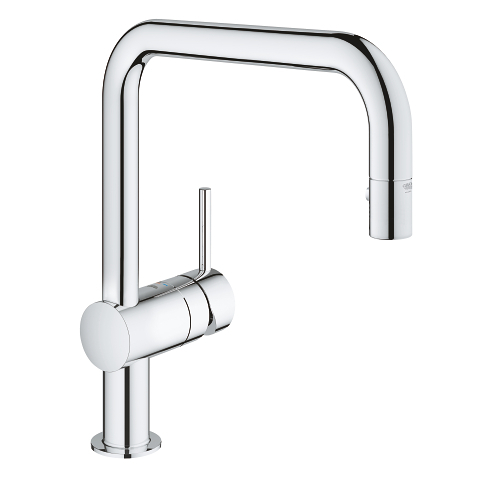 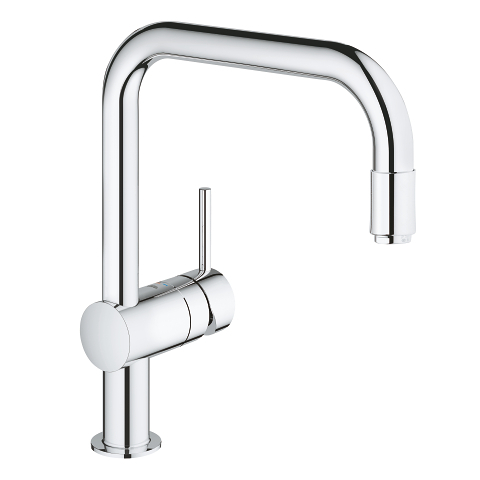 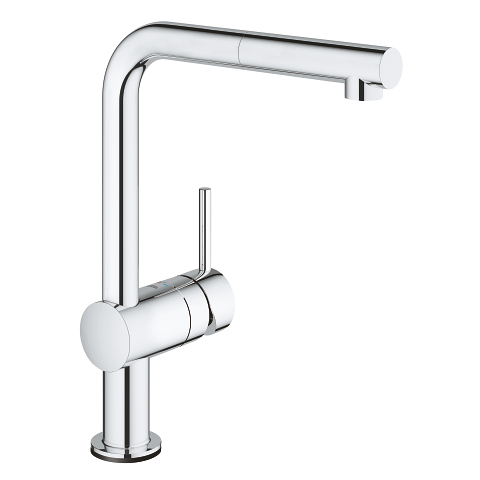 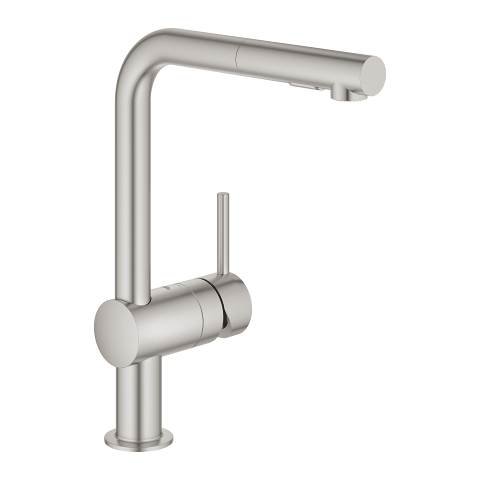 Plus the stylish GROHE SuperSteel matt finish is scratch-resistant for a stunning surface that will last and last.